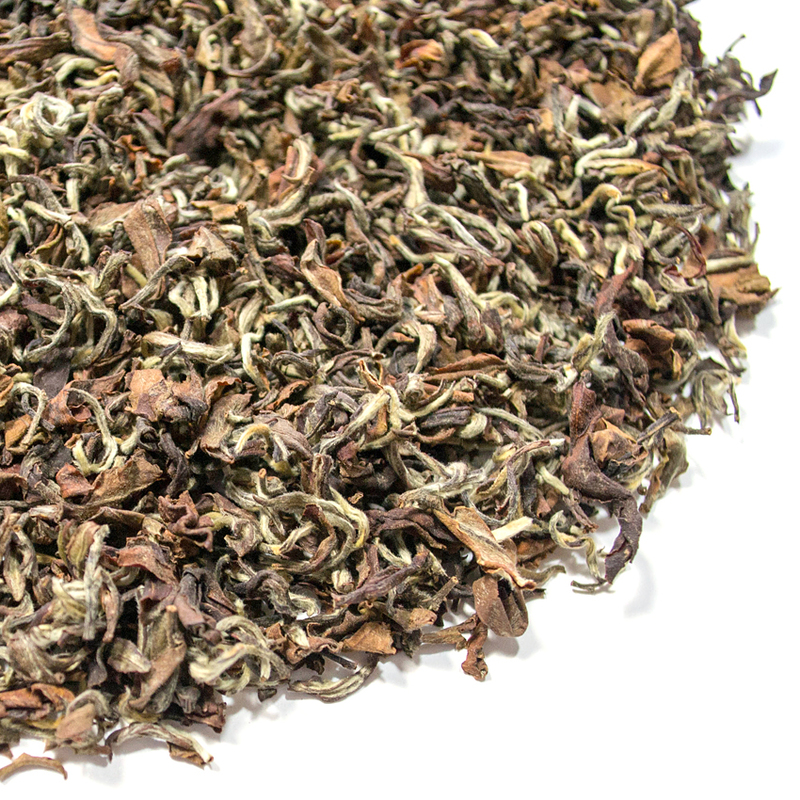 We are thrilled to offer this special, limited-production of very exquisite Nepal tea from mid-Summer 2018. This is another of the innovative, fairly recently elaborated tea manufactures from our friends at Jun Chiyabari. They excitedly offered this to us this year, and here at Tea Trekker we know that you will respond to it enthusiastically. This is a very special tea, offered at a normal price. Our Nepal High Himalaya Hand-Rolled Summer Breezes is a mid-Summer-pluck tea, which means it is from the harvest season that occurs as July moves into August and the weather has begun its transition back to a cooler temperature. It is not a traditionally practical season for tea harvesting because the monsoon season is just ending, but, in Nepal, when the weather cooperates, or in places that are ‘above the clouds’, this short season of a tea harvest often produces a small but really delicious black tea – the flavor is rich and distinctive and smooth, and not at all astringent. 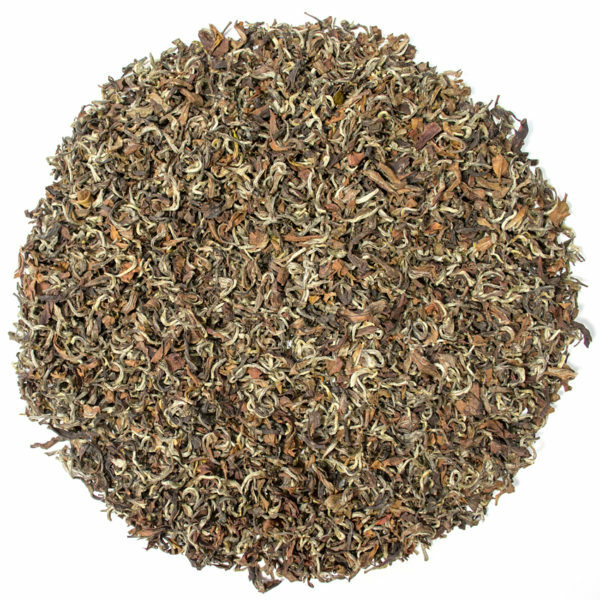 The fresh leaf for Tea Trekker’s Nepal ‘Summer Breezes‘ is medium-large and juicy, and is perfect for hand-rolling the leaf throughout the processing. This year’s production has nuances of toasted caramel and full fruitiness in its aroma and base flavor. The flavor is appealing and broad – everything from a yeasty toasti-ness to plums and raisins, with a cherry-pip clean brightness. It is extremely full-bodied. The tea’s liquor is a stunning deep amber that is quite unlike any other tea, except a few really exquisite dark, strip-style oolongs from the Wuyi or deep in the high mountains of Taiwan, and those would be three to four times the price! The color of both the dry and the wet leaf is a mixture of rich cordovan, sienna, and cottonwood with significant tightly-curled tip. This tea is comprised of medium-large, well-shaped leaf that has a medium ‘chop’ to some of it. Very unusual for a Nepal tea of this size, this leaf could almost be mistaken for one of the showy high-quality Darjeeling black teas, but the leaf particles are far too large. The tea is as beautiful to look at as it is delicious to drink. The leaf is intriguing, quite open, plump, and lofty. If this leaf, with its coloration and texture, were to be made into cloth and fabricated into a coat, it would be a most beautiful tweed, indeed. 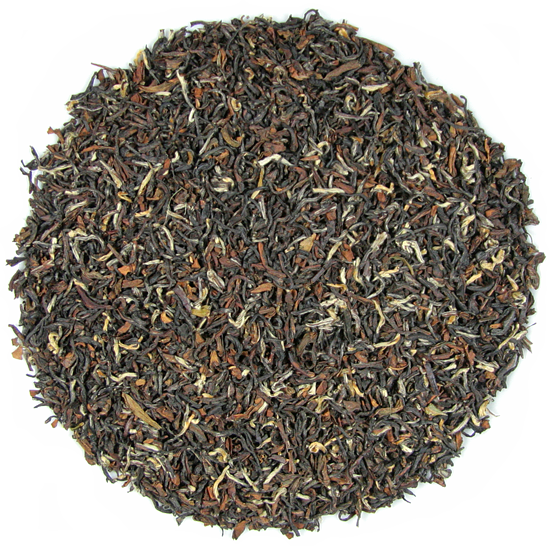 The over-all flavor is in between the flavor profile that develops in our High Himalaya Hand-Rolled Tips black tea from an earlier, spring harvest (in which case the tea is lighter) or in our very popular Everest Dark Heart which is also traditionally from a Summer harvest, and the tea is therefore notably soft and round and full-bodied, plucked from large, mature, full-flavored leaf that has deep flavor but does not have the finesse or beautiful leaf structure that this late-Summer pluck shows. The good proportion of silver-colored tip is quite unique and shows how well-fired this leaf was during the finishing phase of manufacture. All-in-all, this is a beautifully-made tea that does not challenge the palate but leaves it completely satisfied with layers of flavor that linger only briefly on the palate. 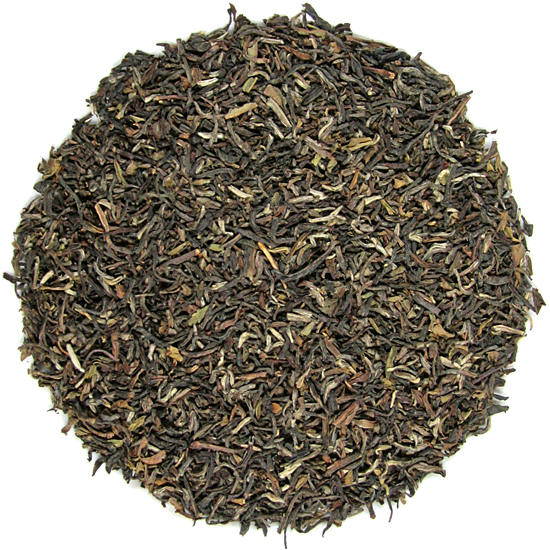 Again, this is not a variation on others of the hand-rolled Himalaya black teas that we have been known to source, or the Dark Heart, but is an elegant tea, with a small, fine leaf. The depth of flavor in this leaf is amazing, and it is absolutely gorgeous to observe when rehydrated. As the garden’s tea director says: “ a character that is bright & warm, nutty & fruity, all in a deliciously complex mix of aroma and taste; a true delight to the senses. Hand-rolling is a laborious and time consuming task that requires patience, tender touch and a passion for creation from the person rolling the leaves to ensure that everything is perfect. This is why only women are selected for this delicate task. 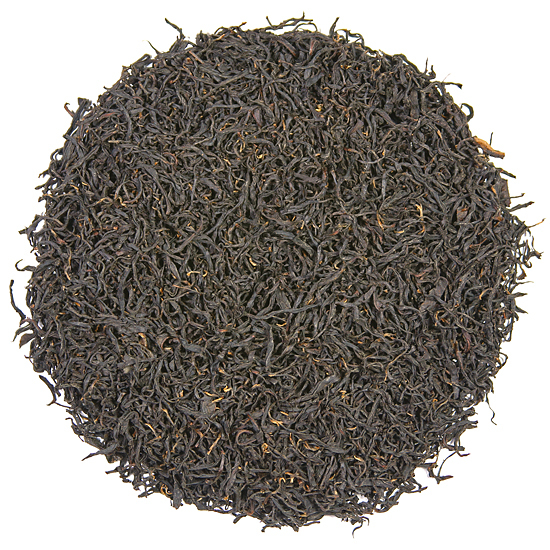 This gorgeous Nepal black tea is from the Jun Chiyabari Tea Garden, a small & exclusive single estate located in the Himalayan hills of mid-eastern Nepal. Jun Chiyabari’s tea gardens are located at 6,000 to 6,500 feet in the ‘hills’ around Hile, a typical Himalaya hill-town, about 15 km west of Ilam (the major tea-producing region of eastern Nepal) not far from Sikkim and Darjeeling to the east, and Sagarmatha (Mt Everest) to the north. We chose for its name: High Himalaya Hand-Rolled Summer Breezes!